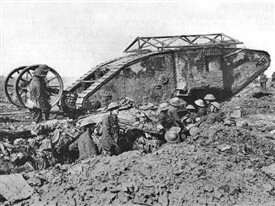 Billy Foster was one of the first men ever to serve in tanks at the earliest battle they were deployed, Flers-Courcelette, 15 September 1916. He was born in Mansfield in 1894. 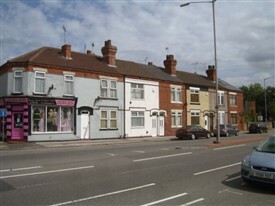 In the 1911 census, aged 17 and still a student, he was living at 7 Alma Terrace off the Chesterfield Road, with his widowed mother Ann, older brother Percy and sister Edith who helped at the family grocery and off-licence. He enlisted on 16 February 1916, probably at the Town Hall in Mansfield Market Place, and went straight into the Machine Gun Corps. After training in England he was in France by late August. He manned a 6-pounder gun on the left hand side of Tank D 24, a crew of eight commanded by Lt Walter Stones. This was a ‘Male’ Mark I tank, as opposed to the ‘Female’ type which had machine guns rather than cannon. When the enemy first saw the tracked monsters lumbering towards their trenches they were very shocked and the tanks quickly broke through in places where infantry attacks had failed for weeks. But the Germans soon recovered and managed to stop the tanks by using artillery against them. 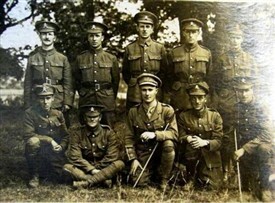 D 24 reached the second line of German trenches, but received a shot which wounded Lt Stones and the driver beside him. The tank was hit again, sustaining damage to the right side track. The crew were forced to abandon their machine, but managed to get safely back to British lines. Remaining with D Battalion, Foster retrained as a Lewis gunner, as well as qualifying as a First Aider. 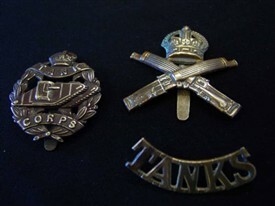 In July 1917 the Tank Corps was officially formed. He was quite badly wounded at the Battle of Amiens, 10 August 1918, but survived with treatment at the 3rd Australian General Hospital, Abbeville. Later he was moved to a hospital in London, then to the Albert House Auxilliary Hospital, Stockport. He was finally discharged from the Sheffield Army Hospital, 11 April 1919, having entirely lost the use of his left hand. 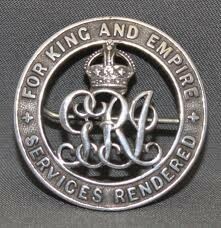 On 21 May he was awarded the Silver War Badge which was to be worn with civilian clothes, showing that he had been wounded in the Service of his King and country. In 1923 he married Winnifred Morris in Mansfield where his brother Percy went on running the family grocery right up until the 1950s. On 15 September 1966 Billy attended the 50th Anniversary dinner, at Caxton Hall in London, to comemorate the first use of tanks in war. He died in Leicestershire in May 1984, aged 90 - perhaps the last survivor of that historic battle at Flers-Courcelette. Billy Foster is the subject of an exhibition currently on display at Mansfield Library, including models of D24 and other Great War tanks. This page was added by Ralph Lloyd-Jones on 04/06/2013.